The Forza Motorsport 7 Spotlight car for December is the No1 BMW M Motorsport M8 GTE. 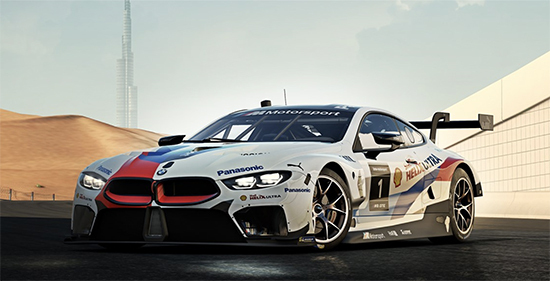 This month, we're celebrating BMW's motorsport tradition and cutting-edge technology with this state-of-the-art GT racer as a FREE download for our players! Once this add-on is acquired, you are granted a one-time only, free addition of the car to your Forza Motorsport 7 garage, with no additional in-game credit cost. This add-on can be acquired at no charge. Requires Forza Motorsport 7 to play.